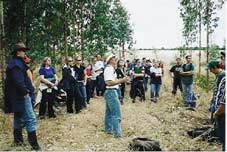 Knowledge and understanding of farm forestry can be gained from many places. In fact, rather than rely on one source of information, farmers and investors are encouraged to search widely. 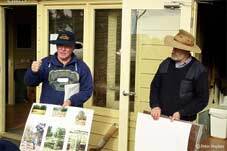 There are books, magazines, newsletters, websites, farmer groups, advisers, consultants, formal and informal courses, seminars and conferences, field days and more. Getting involved in an existing group or organization is often the best way of staying in touch with new developments and meeting researchers, extension agents, industry members and other farmers or investors. Education and training courses include introductory courses for farmers; skills based accredited programs for contractors and landowners and advance programs for farmers and professionals at all levels.